The prestigious Nobel Prizes have been awarded every year since 1901 as a result of the lasting legacy of Swedish inventor of dynamite explosives, Alfred Nobel. Individuals that have made a significant contribution to mankind, either scientific or social, are rewarded and recognised for what is often a lifetime's work. The 2014 Medicine and Physiology Nobel Prize went jointly to Professor John O'Keefe, of University College London, and the Mosers, a married couple from the Norwegian University of Science and Technology in Trondheim. Their research has helped to unravel some unsolved mysteries of the brain, such as: how do we know where we are in the world and how do we find our way from one place to another? John O'Keefe's findings date back to the 1970's, where he noticed when studying rats navigating an environment, that certain cells in the hippocampus - a tiny region of the brain responsible for memory - were activated when the animal reached a certain place. These cells were aptly named 'place' cells. Many decades later, May-Britt and Edvard Moser discovered the presence of 'grid' cells, which were stimulated whenever the rat passed through places in the environment, hinting at their involvement in spatial mapping. They seem to be the brain's equivalent of longitude and latitude. Combining these two cells types, it would appear we have a sort of internal GPS system, more advanced and complex than the electronic devices we have in our cars. Made up of both 'place' and 'grid' nerve cells within the brain, our inner navigation system not only allows us to understand our position in the world but also allows the creation of 'maps' of the environment that can be held in memory. This research will enable a greater understanding of cognitive diseases like Alzheimer's, which commonly cause sufferers to lose their way and forget their surroundings. 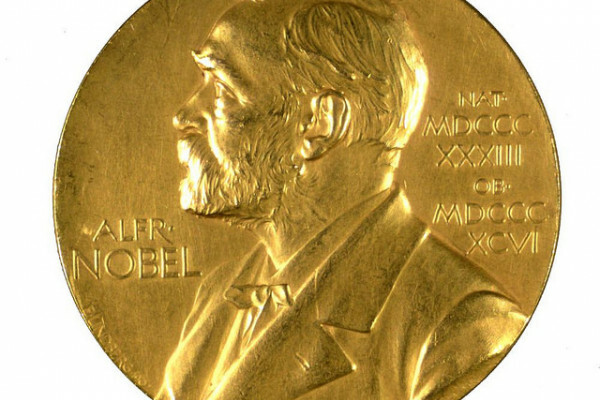 The 2014 Physics Nobel Prize went to Isamu Akasaki, Hiroshi Amano of Nagoya University, Japan and Shuji Nakamura from the University of California, Santa Barbara. Their creation of a bright blue LED has the potential to revolutionise lighting across the globe and to cut electricity bills in half, using white light. LEDs, standing for light emitting diodes, are commonly seen in winter as fairy lights wrapped round our Christmas trees. However in years to come, they may soon appear in every home and office around the world, as a more environmentally-friendly and more cost-effective source of light. Both red and green LEDs have existed for decades, but the colour blue has been far trickier to manufacture. This was because a material with the correct properties and ability to give off the blue colour of light in the presence of electricity could not be found. However, using gallium nitride the Japanese scientists were able to finally create this elusive colour. By combining the wavelengths of light produced by red, green and blue LEDs, and using a layer of chemicals called a phosphor, it is possible to emit white light. But why is this so important and worthy of a Nobel Prize? White light is used within the screens of our smart phones and tablets, and is slowly beginning to infiltrate its way into our homes and offices, providing an overall higher quality of light. The LEDs themselves are extremely long-lasting; only needing replacement every 11 years if used continuously, they light up instantaneously and are also far more efficient. Overall within the UK, 20% of electricity costs go towards lighting, and white LEDs have the potential to shave a significant 50% off of this figure. This will result in cheaper bills and a decreased reliance on environmentally-destructive power stations. From the common light bulb all the way to the energy-efficient white LED, the evolution of technology and the Nobel Prize winner's 'bright' idea is enabling us to more effectively light up the world. The 2014 Chemistry Nobel Prize went to Eric Betzig of the Howard Hughes Medical Institute, US, Stefan Hell from the Max Planck Institute, Germany and William Moerner of Stanford University, US. Their development of a microscope method that enables us to see life unfolding right in front of our eyes inside of live cells, instead of just a static picture, has huge implications for uncovering the secrets of cell processes. Although light optic microscopes are nothing new and have been around since the 1600's, they have previously been held back by the so-called 'diffraction barrier'. This barrier occurs when we want to investigate things within cells that are smaller than the wavelength of light itself. This limits what we can observe within the cell and also restricts us from observing the living processes going on inside them. Using a special 'trick', which the Nobel Prize winners developed, fluorescence can be used to visualise what is occuring within cells. They discovered that, using two different laser beams - one of which one stimulates fluorescence and the other which cancels it out - a tiny area could be studied. Scanning over the sample in this manner, nanometre by nanometre, creates an image at much higher resolution. In breaking the diffraction barrier and using fluorescence, the Nobel Prize winners have allowed thousands of scientists to take a peek into the 'nanoworld', and witness processes that been seen before. This is of great importance, allowing us to observe how individual proteins in a fertilised embryo develop into a baby, how diseases alter our molecular processes and how signals interact with a cell's DNA code.